Alas and alack, one of the best free Twitter tools is gone! Apple bought social analytics search engine Topsy.com two years ago for $200 million and they shut it down on December 15. 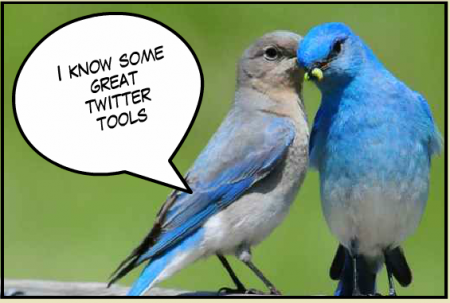 Despair not, dear readers, here are some excellent alternatives to Topsy for Twitter. SocialBearing – is one of the best Topsy replacements I’ve found.It gives 7 days worth of results with options to do user, follower & people searches. It filters for Tweet types (including RTs and replies), sentiment and language and also shows most common and influential Tweeters on the keyword or hashtag. Twazzup – an effect, free tool for real-time Twitter monitoring. Enter a #hashtag, brand name or keyword and Twazzup provides Tweets by influencers, most active and most recent; keywords and links in Tweets and RTs, top RT photos and links, number of Tweets per Hour, plus links to Google search results. It’s fast, free and in real-time.No sentiment is provided, but I think most of those rankings are pretty useless anyway. For example, what’s the sentiment of “We love you fu*king guys”? Hashtagify is a free hashtag discovery tool that helps you search Twitter by #hashtag; find hashtags related to it; unearth the influencers who are using those hashtags, and and learn an enormous range of information about the topic. Here’s a screencast from Aloft Group demonstrating the range of Hastagify.me searches. Last, but not least: Twitter Advanced Search has been substantially beefed up in the past year, allowing you to tailor search results to specific date ranges, people and more. With some practice, you also can geo-search, keep tabs on your brand or follow a specific topic. You even can set up email notifications for results or a Google Docs spreadsheet to ongoing results. But you’ve got to know how. I was wondering how you guys felt about using hahtagify to find more relatable hashtags to use for Instagram in order to broaden reach for posts. I would also recommend BRAND24 as a great alternative. It is really nice, easy to use and efficient internet monitoring application. It gives instant access to all mentions over the Internet and really nice stats. Worth to try!